A complaint registered at our consumer grievance portal – in fact – two of them, point to some of the popular PSUs such as MTNL and Mahanagar Gas Ltd. running a below par portal facility for their customers, despite enjoying a huge base. 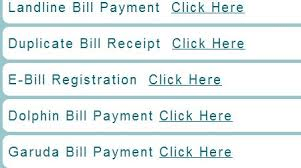 MTNL for one has a lacklustre website for their Mumbai customers (mtnlmumbai.net.in) but the online payment works like a breeze. However the customer who complained had a tough time trying to log in with credentials so that she could check the Broadband status. 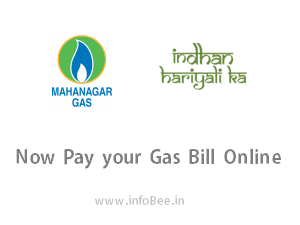 Mahanagar Gas Ltd. goes one step further by making it compulsory to login before any payment can be made. Very strange in these times when you don’t expect unauthorized people eager to pay others’ bills. Insurance companies, one can understand, may need to ensure that the rightful owner of the policy only pays as is their contractual requirement. But why should utility companies demand login to make payment? Its apparent that some old login codes are being used in these websites, which gets the website visitor into a loop. One reaches his or her wits end playing between unknown user id and unknown password and sometimes unknown secret question, while the website refuses to link either of these ‘forgotten’ inputs to the customer account which the customer knows!! Its interesting how a PSU like MTNL maintains different website links for different regions and they all look so different and offer different facilities to customers. For example MTNL Delhi is very different in look, design and facilities as well as workflows when compared to MTNL Mumbai. Affordability to redesign these customer facing webpages should not be a cause of concern as it can be achieved even in less than 2 Lakhs or even a few thousands if one were to use open source Content Management Systems. Surely NIC should be able to help.